Explore our fascinating North American neighbor south of the border. Mexico has so many hidden treasures just waiting to be explored. This large and diverse country boasts ancient Mesoamerican pyramids, magnificent beaches, dazzling deserts, teeming jungles, regional cuisines and a distinctive culture. A popular travel destination is the Yucatan Peninsula, where school groups can see Chichen Itza, a large complex of ruins featuring a pyramid built by the Mayans. Many will want to visit the beautiful Playa del Carmen named for the Patron saint of Cancun. 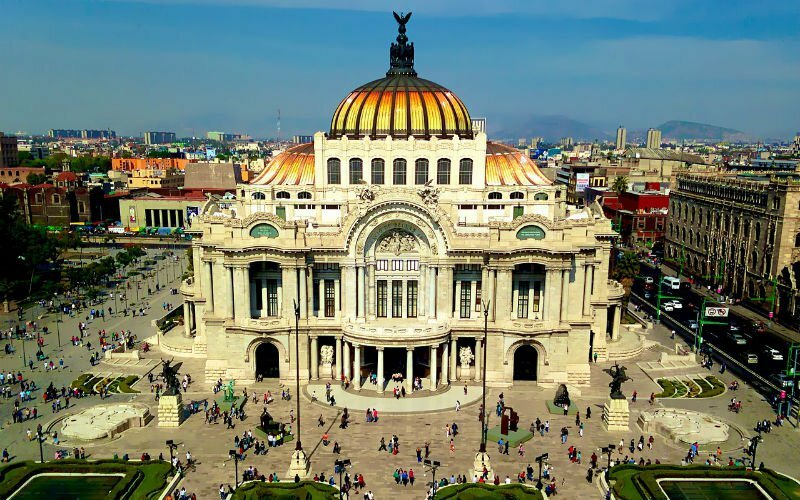 The top destination is Mexico City, the most populous metropolis in North America. Mexico's capital is located in a large valley in the high plateaus of central Mexico. It has a thriving art scene, delectable food offerings, over 150 musems and is more affordable than comparable travel destinations.